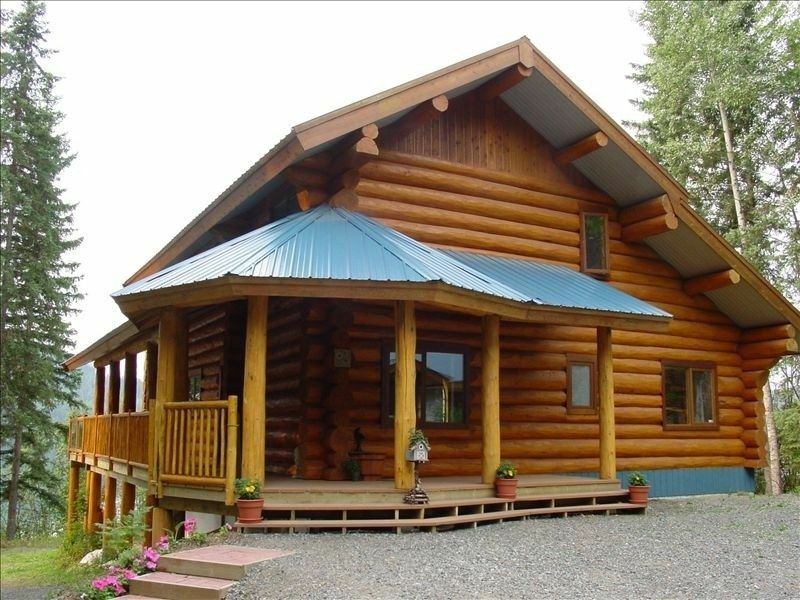 Be at home in our custom built lakefront log house situated 30 minutes east of 100 Mile House, British Columbia. The many features include four comfortable bedrooms, two full bathrooms plus a master bedroom en suite, spacious well-equipped kitchen and dining area, great room with a gas fireplace, and a cozy loft retreat for TV viewing or reading. With views from every window, a large deck for relaxing and al fresco dining, you’ll soon be luxuriating in the holiday feeling that the Cariboo Cabin promotes. The two acre property includes over 200 feet of waterfront, your own dock for boating and swimming access, and another deck for lakeside viewing of the varied bird life. Whether you come to canoe, fish, swim, walk or read in the summer, or cross-country ski, ice-fish, snowmobile or hibernate in the winter, “The Cariboo Cabin” is your ideal holiday retreat. PLEASE NOTE THAT THE HOT TUB AND DOCK ARE AVAILABLE ONLY FROM MID-MAY TO MID-OCTOBER. Quiet two acre property with 200 feet of lakefront, private dock with canoe and four kayaks. Comfortable log home with four bedrooms (three with queen beds, and one with twin beds). We enjoyed our stay so much at Sylvia and Johns log house on Sulphurous lake. The house was absolutely spotless and very well stocked with all the amenities. We were all awed by the architecture of the house. We were so grateful that we could bring our dogs to join us for our weekend. We ice fished every day and even managed to catch a few! We would like to make this an annual trip as we were so pleased with our experience. Thanks again Sylvia and John! Very nice place, would definitetly go back to stay. We did some ice fishing on the lake, caught a few fish it was great. Thankyou so much!! Over the top in every way! Our second stay - a most wonderful location, and a beautifully equipped log home to enjoy. We enjoyed a memorable Christmas with our family and were able to share a “real” Canadian experience with our delighted French son-in-law skating, ice fishing, cross country skiing with memorable meals and those marathon family board games! Very nice and well equipped property. prefect position, with great views of the lake, clean and well organized, sleeps 5 easy, without anyone sharing bed. Very nice kitchen, great for cooking. Would be great for any large family to visit. The cabin is clean, the beds are cozy, the layout great, the kitchen well-stocked. The lake is sp pretty with green and blue water and there are lifejackets and kayaks in the cabin to use. A great deck with a beautiful view make this cabin the perfect place to enjoy the peace and beauty of the area. We love this cabin and come here every fall. The cabin is beautiful! Well stocked, you just need to bring clothing and food! This was our second time renting this property and we had another amazing family vacation. The cabin is beautiful, the location is perfect situated right on the lake with stunning views. Everything is provided in the cabin and they have an awesome assortment of water activities ie: kayaks, a canoe, life jackets in every size etc. We saw deer, a fox, eagles, loons and a mother bear and her two cubs! Canoeing, ATV trails, Geocaching, Bird Watching. Access to a number of nearby lakes offers a variety of fishing experiences. During the summer, we usually rent Saturday to Saturday. During other months, arrival days are flexible. From Canadian guests we accept e-transfer (Interac) or cheques.